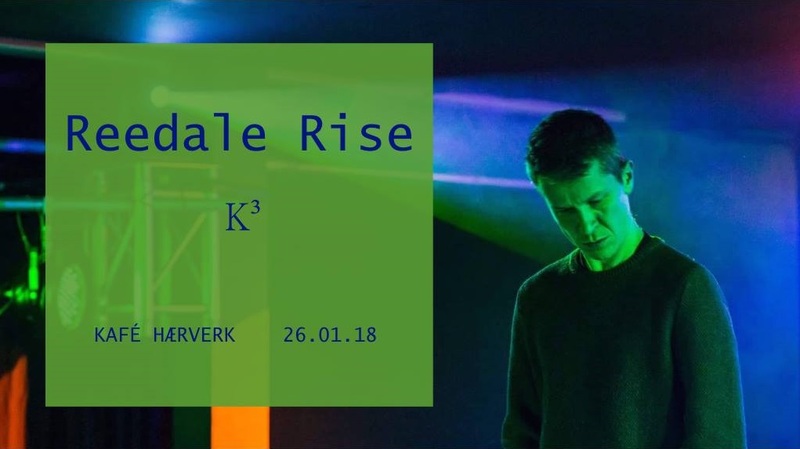 British electro and techno has been on fire this last year, and one of the undoubted stars has been Reedale Rise, who will be playing live at Kafe Haerverk on 26.01.18, with support from our very own K3. Reedale Rise’s debut vinyl release was a deep techno cut on Edinburgh based label Common Dreams. This was followed up by a electro track on Brighton’s Boe Recordings, two EPs on Holland’s longstanding bastion of electronic deepness, Frustrated Funk and a well received EP on Where We Met from Italy. 2017 has also seen the Reedale Rise live show hitting clubs across Europe, including gigs in Strasbourg, Mallorca, Namur, Verona, Sheffield and his native Liverpool. And now Oslo! His teenage years were spent listening obsessively to drum and bass mixes taped from the radio, with LTJ Bukem’s Essential Mix in 1996 and Goldie’s Timeless album being pivotal influences in terms of his current sound design and musical moods. Cutting his serious clubbing teeth at Liverpool’s Bugged Out! parties, led him deeper into the world of house and techno, with Derrick May and Carl Craig becoming ongoing influences and inspirations.